The Oakhurst School District was organized formally in April 1901. It operated a one-room wood frame school building on the northeast quarter of 22-36-25 west of the Principal Meridian in the Rural Municipality of Minitonas. The original building was later replaced, with the original sold and moved to SW36-36-25W. The second building was also a wood frame structure. 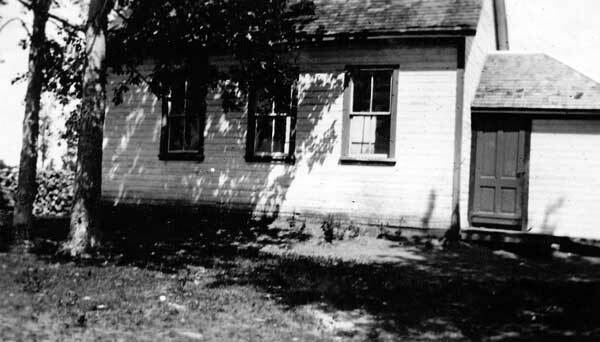 In 1950, it was replaced by a metal quonset building, used until the school closed in June 1965. 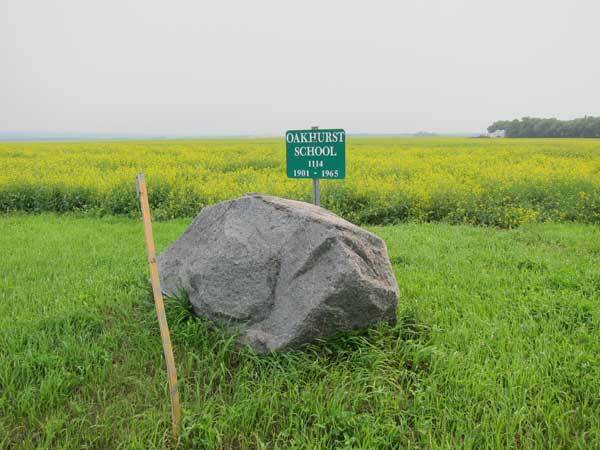 The former school building is no longer present at the site but a boulder and sign commemorate it. The teachers who worked at Oakhurst School through the years were L. M.Ingham (1901), Elizabeth O’Higgins (1905), M. G. Manahaw (1905), J. Cameron (1906-1907), Mary H. Pinder (1908), Margaret L. Johnston (1908-1909), Orliff R. Phelps (1909-1910), Pearl Parker (1911), L. McLaughlin (1911), Dorothy Cope (1911-1912), Agnes Hannah (1912-1913, 1914-1915), Mary N. Hannah (1913), Gertrude Sargent (1916), Bertha Heyes (1916-1917), Leila Stephenson (1917), Edith Walker (1918), Arthur Brown (1918), M. M. O’Dell (1919-1920), Ethel Armstrong (1920), Richard Green (1921), Marion Brown (1921), G. Maunik (1922), E. Winteringham (1922), Lila Ingram (1923), John R. Williams (1923-1925), Florence E. Brown (1925-1926), Gertrude Trudeau (1926-1928), Volda Watson (1928-1930), Annie Marten (1930-1935), Jean Marr Niven (1935-1939), G. M. MacKinlay (1939), Anastasie Marie Ollivier (1940-1941), Myril Ella Cotton (1941), Cora Mary McKague (1942), Anne Booth (1942-1943), Ruby Cooper (1943-1944), Tillie Henkelman (1944-1945), J. Rebecca Clark (1945-1946), Olga Kolisnyk (1947), Francis Weselowki (1948), M. Zaiverucha (1949), Edith Kolisnyk (1950), Carol Kushko (1951), Alice Melinchuk (1951), John William Carrol (1952-1953), Val Kovachik (1954-1956), Nettie Zieleski (1957), Samuel Yaremko (1958-1960), Shirley Smith (1961-1962), Ann Batryn (1963), and Wilbert Klatt (1964). GR8461, A0233, C131-2, page 60.